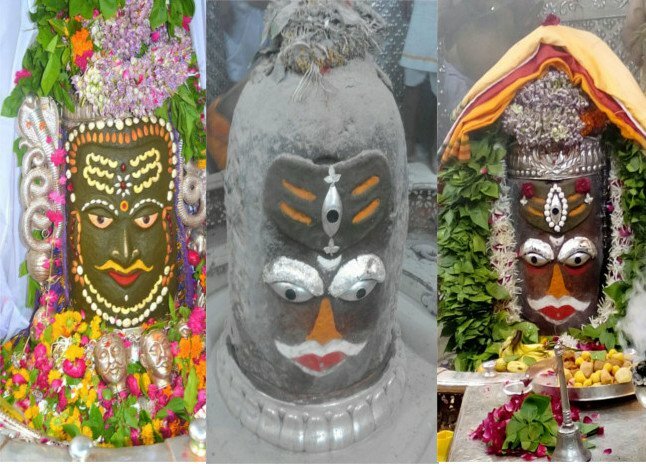 Shri Mahakaleshwar Jyotirlinga is located in the ancient city of Ujjain in the state of Madhya Pradesh, India. It is one of the most famous Hindu temples dedicated to Lord Shiva. The idol of Mahakaleshwar is known to be dakshinamurti, which means that it is facing the south. This is a unique feature, upheld by the tantric shivnetra tradition to be found only in Mahakaleshwar among the 12 Jyotirlingas. Mahakal Jyotirlinga is the king of Ujjain and is protecting it from long time. It is believed to be one of the most powerful incarnations of Lord Shiva. 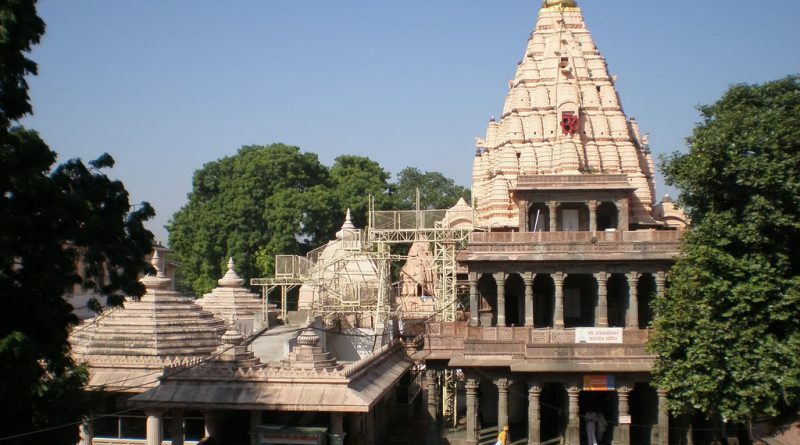 Ujjain, the city of Mahakal, previously known as Avanti, Kushsthali, Kanashringa, Bhaumvati, Padmavati, Pratikalpa, Amaravati, Vishala, Avantika and Ujjayani is considered to be among the holiest cities in India. The Mahakaleshwar Temple is three-storeyed one of which is underground. In the lowest middle and uppermost parts are respectively installed the lingams of Mahakalesvara, Omkaresvara and Nagachandresvara. The pilgrims and the visitors can have the glimse of Nagachandresvara on the festive of Naga Panchami. A very large-sized Kunda named Koti Tirtha also exists in the temple-complex. In the northern side of the verandah, in a cell, the images of Sri Rama and goddess Avantika are worshipped. In the southern side of the main shrine, there stand many small Saivite temples built during the shinde regime among these the temple of Vrddha Mahakalesvara, Anadi Kalpesvara and Saptarshi are prominent and are the remarkable pieces of architecture. Besides Jyotirlinga, attractive and images of Ganesa, Kartikeya and Paravati can be seen in the garbhagrha. The most important Puja related to Mahakaleshwar temple is Bhasma arti. It takes place early in the morning around 4 a.m. Bhasma used to be the fresh and burning hot ash from a funeral pyre. The Aarti is now performed with bhasma made with cow dung, what we call Vibhooti. The Mahasivaratri, Pancha-Krosi Yatra, Somavati Amavasya etc. are special religious occasions interwoven with the rituals of the temple. The Mahakal dominates the life of the city and its people. On the day of Maha Shivaratri, a huge fair is held near the temple. Maha Kumbh Mela is one of the mass Hindu pilgrimages of faith festival celebrated at four places in India: Allahabad, Nasik, Ujjain and Haridwar. It is held every third year at one of these places. Poorna Kumbh is held at Ujjain once in every 12 years when the zodiac sign Scorpio (Vrishchik Rashi) indicates the presence of Jupiter and Sun. Maha Kumbh at Ujjain is known as ‘Simhastha Kumbh Mela’.